With almost 4 million Syrian refugees and 60 million displaced people worldwide, the migrant crisis is “the biggest humanitarian emergency of our era,” according to António Guterres, the former United Nations High Commissioner for Refugees. As many flee instability and violence to Europe in search of safety and better lives, they risk drowning on boats, suffocation in packed vans, and other dangers on their journey—and limited access to health care after they arrive. 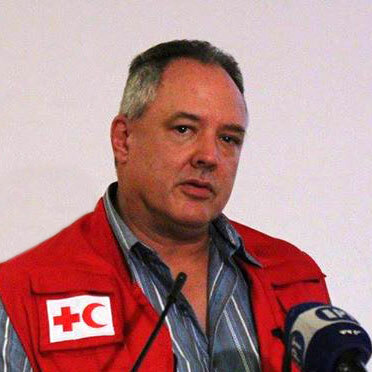 In this Immigrant Health Initiative seminar, Steve McAndrew, head of emergency operations at the International Federation of Red Cross and Red Crescent Societies, discussed the pursuit of health justice among refugees and displaced people. This seminar was hosted by the USC Immigrant Health Initiative in collaboration with the USC Center for Health Equity in the Americas and USC Institute for Global Health. Photo courtesy DFID – UK Department for International Development, licensed under CC BY 2.0.